PRAGUE, Czech Republic: March 1, 2016 – Colliers International today announced that its current Head of Investment for Slovakia, Andrew Thompson, will now act as Head of Investment for both the Slovak and Czech markets. In his new position, Andrew will oversee our investment advisory and sales/acquisition service lines across both the Czech and Slovak Republics. Prior to joining Colliers International in 2015, Andrew set up and then ran the Cushman & Wakefield office in Slovakia as its Managing Director and led the company to win the coveted “Best Real Estate Agency in Slovakia” for six of his seven years in tenure. Previously he also worked for seven years in Prague, where he was Head of Office Agency and Client Solutions for Czech Republic & Slovakia also with Cushman & Wakefield. 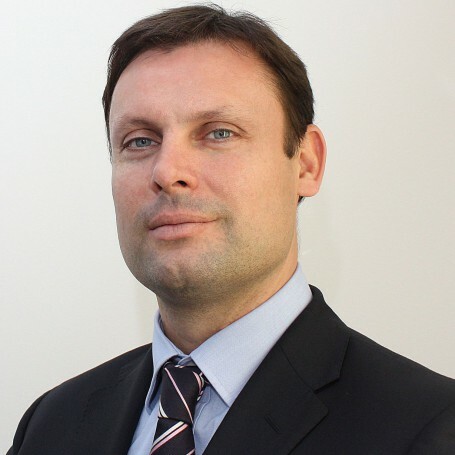 Andrew holds a Masters Degree in Land Economy from the University of Aberdeen and a Postgraduate Diploma in Property Investment from the College of Estate Management in the UK. He is also a Member of the Royal Institution of Chartered Surveyors and has passed Level 2 of the Chartered Financial Analyst Exams.